The purpose of the paper is to gain an understanding of the perceptions and needs of caregivers looking after the elderly or those with multiple disabilities with regard to the use of technology in the course of their work, in order to design the associated training. 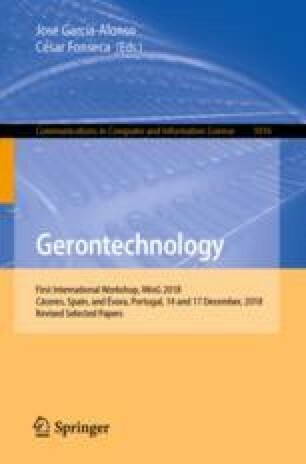 A qualitative study using semi-structured interviews of 10 caregivers from different disciplines caring for the elderly or those with multiple disabilities in Spain. Results: There is a generalized personalized use of ICT that cannot easily be transferred to caregiving duties. The difference between formal and informal care does not seem to be as important as the type of work performed: nevertheless, formal caregivers display a standardized pattern in their responses, perceiving a potential benefit and an ease in incorporating technology, but this is not accompanied by any social influence or conditions to facilitate this. With regard to the pattern of informal caregivers’ responses, although the same tendency can be noted, some uncertainty can be appreciated, particularly with regard to performance expectancy. As a conclusion, although the benefits that technology could bring to caregivers’ tasks are perceived, no organizational or family-based context to promote or facilitate it can be appreciated, and it is this that might be the primary target of the first stage of training. In a second phase, training for caregivers would be focused on the effective use of technology. We would like to acknowledge all the caregivers who shared their doubts, insights and experiences. This work is based on a larger research project supported by the Erasmus+ program under Grant No. 2017-1-DE02-KA202-004212. TechCare project.